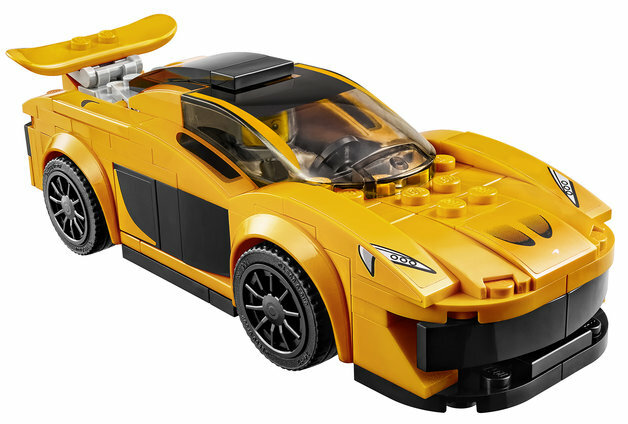 Help McLaren build the future of Supercars in LEGO version and get your LEGO Supercar displayed on the McLaren Automotive stand at the 2015 Goodwood Festival of Speed in United Kingdom plus win LEGO® Speed Champions prices. The winner and a guest will be flown to United Kingdom and get VIP entry tickets to the Goodwood Festival of Speed as McLaren Automotive guests on Sunday 28th June 2015. In 2013, McLaren Automotive launched the groundbreaking McLaren P1™ to critical acclaim. The aerodynamic shape was penned by the renowned McLaren Automotive Design Director, Frank Stephenson, who explained that: “Our main objective with the McLaren P1™ was to design the best drivers’ car in the world, on road and track. Managing airflow in and around the car’s bodywork and optimizing aerodynamics was key in achieving this goal. This design philosophy crafted the highly unique and emotive shape of the car”. To learn more about the McLaren Automotive supercar range, please visit: cars.mclaren.com The challenge will begin May 4th, 2015, 03:00 p.m. CEST (Central European Summer Time) and ends June 1st, 2015, 2:59 p.m. CEST. The competition is open to LEGO builders over 16 years of age and international entries are welcome (please see legal rules for details). Older models are welcome, but note that the physical models of the winning entries will be displayed at Goodwood Festival of Speed. You need a LEGO ID and a ReBrick account to enter this challenge. Jury: •Frank Stephenson, McLaren Automotive Design Director •Craig Callum, LEGO® Speed Champions Design Lead; and •Kim Ellekjær-Thomsen, Community Manager and Racecar Fan Extraordinaire.